Time and time again people ask me the question, “Why is the Church of England getting involved with…?” At which point you can add the words refugees, debt, tax credits, or any number of other things. Surely the primary business of the Church is religion, helping people to develop a relationship with God and to become part of the life of the Church. So why get involved in all these other issues? Well, we need to remember that the central theme of Jesus’ teaching in the Gospels was that of the “kingdom of God”. Now it is tempting to assume that this “kingdom” refers primarily to what we think of as heaven, meaning by that what happens to us after we die, but in reality Jesus’ teaching is about so much more than that. The kingdom of God is about people entering into a relationship with God – with God as the centre and focus of their lives – but it is also about the way in which the life of this world is transformed from the inside out to become a little more like life as God intends it to be. That is also what the “kingdom of God” is about, and that is the meaning of stories like the parable of the yeast, which works its way through the whole loaf, leavening it and making it into something good to eat. The Church rightly is concerned with both of these things: helping people to discover and to grow in a relationship with God that changes their lives and seeking to transform the life of the world for the better and for the good of all. That commitment is a reflection of the generosity of God, which was revealed to us in the gift of his Son Jesus born in a stable at Bethlehem, and in the vulnerability of a Saviour hanging on a Cross. God gets involved with us and our world – and he calls us to do the same. 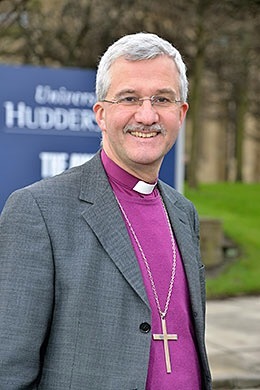 +Jonathan is our bishop, The Bishop of Huddersfield. Article taken from the diocesan news letter.